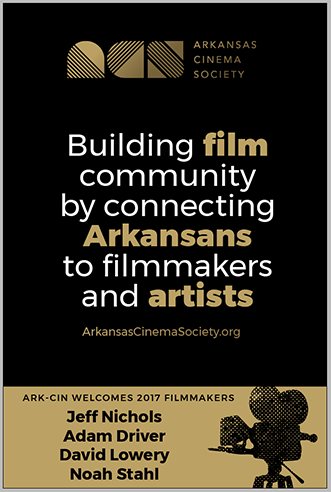 The Arkansas Cinema Society's Inaugural Event PREMIERE happened in 2017. A curated celebration of cinema with a mission to nurture and inspire filmmakers in Arkansas by exposing Arkansans to filmmakers and their art. Our three-day inaugural event PREMIERE. Hosted with Central Arkansas Library System in their state-of-the-art 315-seat Ron Robinson Theater. All three nights we offered a VIP lounge for our sponsors, filmmakers, and board members. Our filmmaker guests included: Jeff Nichols who hosted all of the Q&A conversations, Producer, Noah Stahl, Director/Writer, David Lowery, and actor Adam Driver. Meals were provided by The Root Café, Local Lime, and Tazikis. 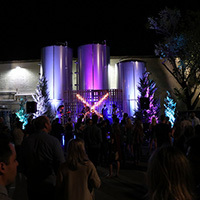 A full, open bar with signature drinks for the weekend were provided by Beam Suntory and Lost Forty Brewing. Coffee and pastries were provided by The Meteor, and signature ACS branded cookies were provided by Lavender Bakes. The very talented Rett Peek, Jason Shivers and Bespoke Media Group hung out in the lounge to take portraits and capture interviews.